LASALLE INTERIOR TRIM Defender 110 Side Panel Thermal Acoustic Insulation is a versatile open cell foam designed for use in a wide range of applications where high levels of thermal and acoustic insulation are required. The material comes as standard in a lightweight sheet form. One side is faced with reinforced aluminium foil, increasing strength, rigidity and thermal efficiency. The other side features a practical, peel-off self-adhesive backing. If this T/A Insulation is purchased along side one or more of LASALLE INTERIOR TRIM products it will be dispatched at the same time as your Headlining/Side Trims/Door Trims. If this T/A Insulation is purchased on its own or with another similar product it will be dispatched within 3 – 5 days. These combined properties make the LASALLE INTERIOR TRIM 110 Roof Thermal Acoustic Insulation the ideal material for panel insulation on Defenders and older Series vehicles alike. Low weight means effortless handling, the structure cuts cleanly, and the self-adhesive backing makes for fast and accurate fitting. The perfect partner for our headlinings and side trims, Thermal Acoustic Insulation provides the optimum in sound absorption and thermal insulation. In addition, it’s also highly heat and flame resistant, so it can also be used beneath the bonnet. The substrate should be clean, dry and free of oil, dust, grease, release agents or other contaminates. Metals should be degreased prior to bonding. If necessary clean and dry the substrate with methylated sprit or similar. Cleaning solutions, if used, must be allowed to evaporate before application of the adhesive. 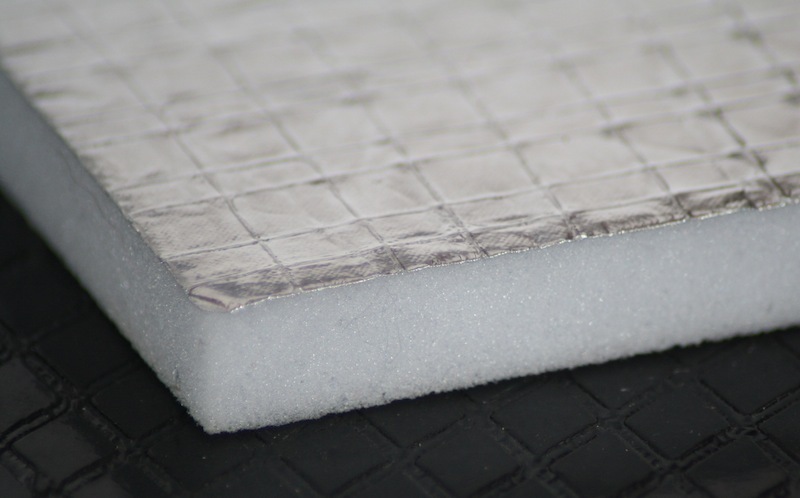 Peel off the release paper, apply the LASALLE INTERIOR TRIM Thermal Acoustic Insulation, ideally on the horizontal plane, using forward and downward pressure. CEIL COUNT – 130 – 200 ppi approx.